Unless you visit Disneyland frequently, there’s a chance you could be making some big mistakes on your Disneyland vacation. I work for Get Away Today and one of my favorite perks is being able to regularly visit Disneyland – my favorite destination. I go at least once a year and I love it! 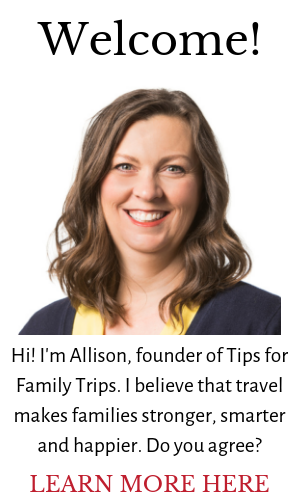 I also love being able to share my insider tips and tricks here on Tips for Family Trips. I’ve put together five of the most common mistakes that families make when planning a Disneyland vacation to help you save time and money. Long gone are the days of being able to do Disneyland in just one day. Not only are there two full theme parks, there’s no possible way to hit everything in both of them even if you spent a full day in each park! I always recommend at least a three day ticket, preferably a park hopper. That will give you at least one full day in Disneyland, a full day in Disney California Adventure Park, and your final day can either be split between the two parks, or in your favorite park. If you’re going during a busier time or just want to spread everything out, consider a four or five day ticket. That’s my favorite way to do it. As you may have guessed from the previous rookie mistake, there is so much to see and do at the Disneyland Resort. Not only are there nearly 100 attractions and entertainment options within the parks, the downtown Disney District has a lot to offer as well. Disney releases their calendar with shows times and ride closures about 30 days in advance. When you’re looking at the calendar, pay special attention to the nighttime shows. The fireworks and some nighttime shows are only available on the weekend during non-peak season travel times. If those are important to you, you’ll want to make sure to plan your itinerary accordingly. You will definitely want to look at the calendar and make a tentative itinerary for the shows and rides that are most important to your family. Make sure you get to do those first, so you don’t leave the end of your trip disappointed that you missed something that you were looking forward to! Even if you visit Disneyland annually, there are so many changes often enough that you want to make sure that you plan enough time for everything that is new since your last visit. Allison has written up her top tips for making the Disneyland calendar work for you. Read them HERE. When you are visiting Disneyland, time is money. For many vacation destinations, it’s possible to stay a few miles away, and get to your destination with no problems. It’s not quite as easy at Disneyland. If you stay in a hotel that’s let’s say seven miles away to save a little bit of money, Google Maps will likely say it’s a 15 minute drive. After you add on traffic near the park, parking and taking the tram from the parking garage, you’re looking at closer to an hour each way. I would definitely recommend either staying within walking distance, or at one of the nearby hotels (two miles away max) that offer local shuttle service with the ART or PCA buses. These shuttles are on Disney’s actual transportation system, and offer the most convenient and least time intensive ways to get to the parks. Plus, that way you can avoid paying $18 per car parking each day! This one is actually two rookie mistakes, because it can go in either direction. I often see people who end up spending way more than they intended to on food. On the other hand, I also see people who are so concerned about not spending too much on food that they make another major rookie mistake by leaving the parks to eat at one of the restaurants across the street from the parks. There are two major takeaways from this lesson. First, when you are in Disneyland, you are paying a lot of money to be there. People often don’t calculate how much time it will actually take to leave the park, and then make their way back through security and go through the entry lines again just to save a few bucks. Likewise, you can really over spend on food inside the park if you don’t have a plan. Disneyland allows you to bring food into the parks, so I always recommend bringing plenty of snacks with you. You can also save a lot by sharing meals and by staying at a hotel that has a free breakfast. I always like to keep trail mix and fruit snacks on hand. This last trip I also packed some Uncrustables, so we only had to pay for one full meal in the park each day. We saved money and didn’t have to leave the parks. It was a win-win. When I see somebody going to the gate at Disneyland and paying full price for multi-day tickets, I want to run up and tell them that there’s a better way! But, I also don’t want to look like a crazy person, so I refrain. When you book in advance, not only will you save money on your tickets, you also get one Magic Morning with every three days or longer ticket. It is so worth it! Of course tickets aren’t the only way you can overspend. It’s easy to overspend on a hotel, or think you’re getting a great deal. I may be biased, but Get Away Today truly has exclusive offers that are some of the lowest out there. Plus, if somehow you do find something lower, we will beat it.